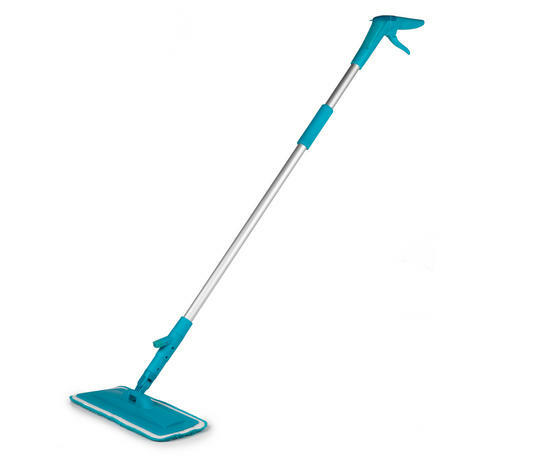 Make mopping the floor an effortless task with this Beldray easy fill spray mop. The vibrant turquoise design will brighten up your cleaning cupboard instantly and is essential for flawless cleaning around your home. With a built in spray tank that can be filled from the top of the handle in seconds, mop your floors in half the time with no need for a bucket. The washable microfibre head creates minimal mess and will leave your floors fabulously clean, with increased shine for much longer. The Beldray spray mop is more hygienic and efficient, making your floors dry faster and keeping them sparkling for much longer. The smart easy fill spray feature allows you to mop your hard floors without needing a bucket or getting your hands wet and dirty. Made with thousands of microfibres, the mop head is also washable to guarantee a streak-free clean on any hard flooring in your home. 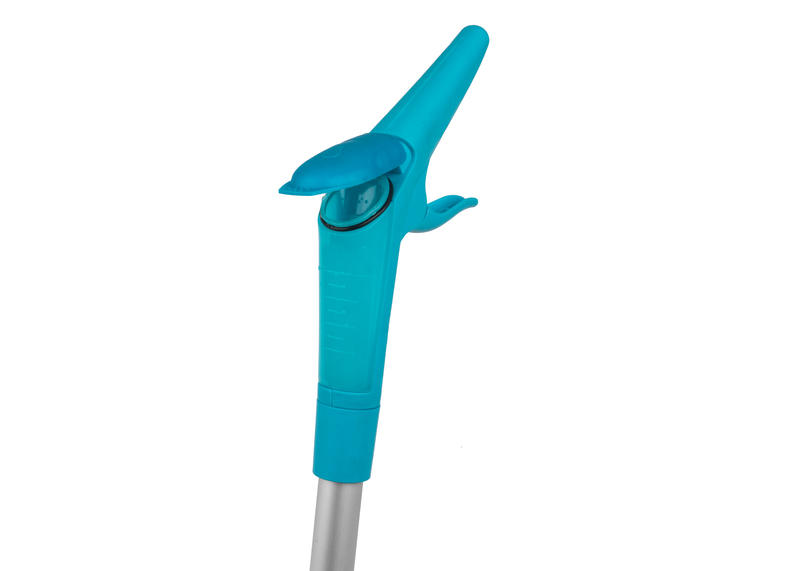 Even when filled with water the spray mop is brilliantly lightweight, making it incredibly easy to move from room to room when mopping. You can easily reach any tricky areas with the mop extending to 126 cm in length and with a flat base measuring at 43 cm in width.